, an eminent musician, was a native of Germany, and a disciple of Sebastian Bach. During nearly ten years he was in the band of the electoral king of Poland at Dresden; but the calamities of war having“reduced that court to a close ceconomy, he left Dresden in 1758, with only three dollars in his pocket, and proceeded to the next little German capital, where his talents procured a temporary supply. In 1759 he made his way to England, where he soon obtained notice and reward. He was first patronized by the dukje of York: and on the formation of her present majesty’s band, was appointed chamber-musician to her majesty, with a salary of o”.200 per annum. In 1763, in conjunction with John Christian Bach, he established a weekly concert by subscription, which was well supported; and he had as many private pupils as he chose to teach. 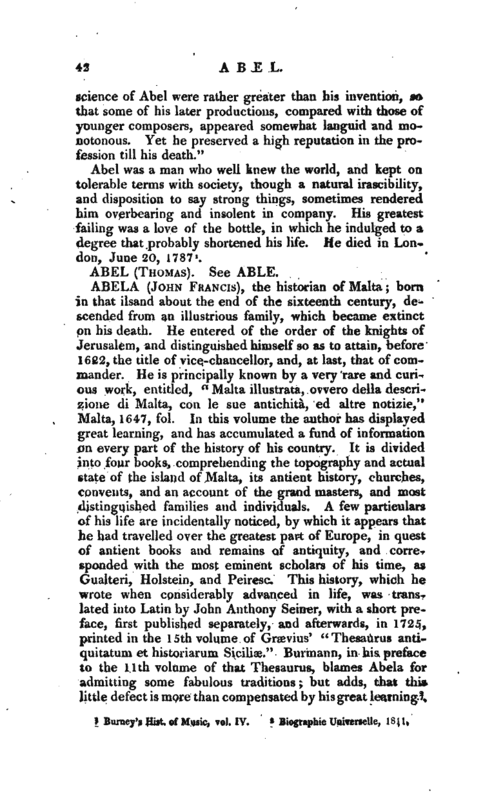 Abel performed on several instruments; but that to which he chiefly attached himself was the viol da gamba, an instrument growing out of fashion, and now very little used. His hand was that of a perfect master. 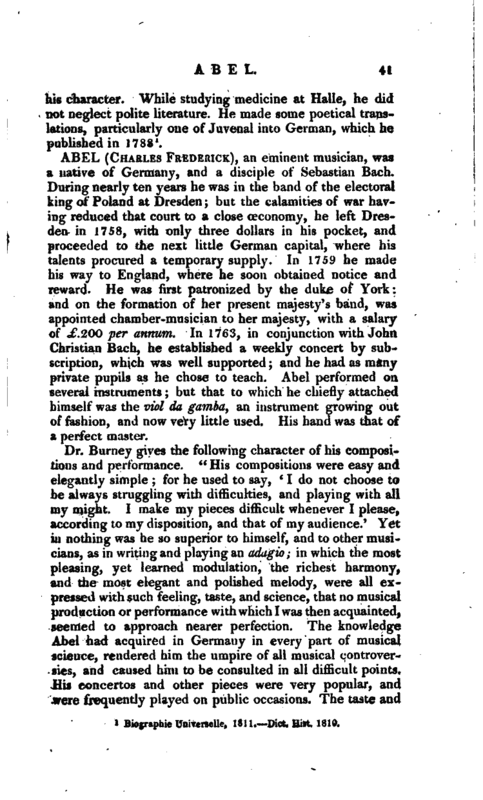 Burney’s Hist, of Music, vol. IV.